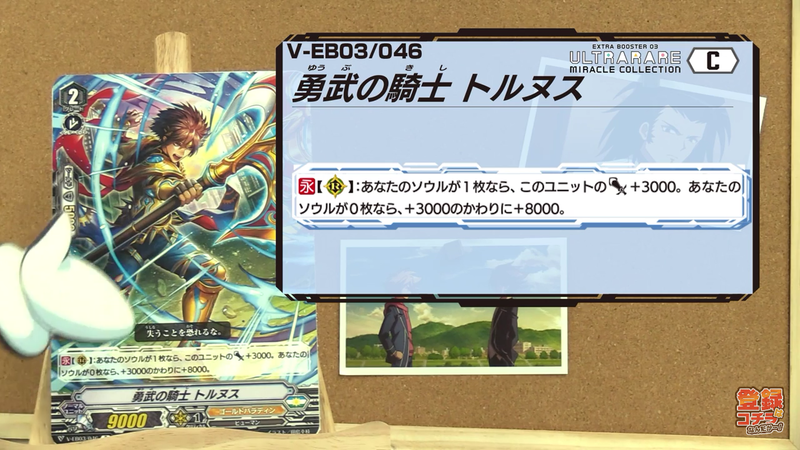 A new card for the Gold Paladin strategy of the V series. CONT (RC): If your Soul is 1, this Unit gains Power+300. If your Soul is 0, it gains Power+8000 rather than Power+3000.